Telehealth services incorporate the utilization of telecommunication technologies and electronic information to provide and promote long-distance healthcare, and include wireless communication, video conferencing, and the internet. The surprising growth of telemedicine has caught many in healthcare off guard, largely because the interest is spurred to a great extent by consumers. As telemedicine use grows, more people are becoming aware of and asking for telepharmacy—and not just in rural areas. In this blog, we examine the rise of telepharmacy and explore the history and possible future of this trend in telemedicine. Medications can be dispensed via remote means or locations, saving time and money. The rise of interest in Telepharmacy may not be that surprising, considering that 77% of the U.S. population now owns a smartphone or other mobile device—be it a phone, tablet, or watch. Consumers may merely be demanding access to healthcare services just like they access everything else in their lives today—with a touch and a swipe. In reality, consumer confidence in online healthcare has been a gradual development. It started with easy-to-access aspects of health and wellness delivered technologically, such as tracking steps through a pedometer, or using a smartphone to document calorie intake. From there, consumers gained more trust in electronic health access: patients started using health insurance company applications to manage provider appointments, see test results, and get alerts for required health exams. People with diabetes are now uploading their data to a laptop or phone and electronically submitting their results directly to their physicians. With new healthcare technology, patients can easily document sleep patterns, medication reminders, and calorie intake. Now it’s hard to tell who is fueling the demand: consumers or the companies developing the applications and programs. Nevertheless, healthcare is undergoing a revolutionary time, allowing pharmacies to benefit from technological growth. With telepharmacy, patients can now sign on to applications to request a medication refill, request a pharmacist consultation, or ask a question online. 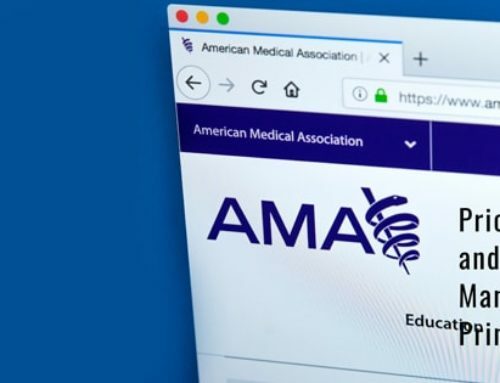 Via the web, pharmacy patients can submit questions regarding their healthcare to get connected to a physician or pharmacist. Millennials are just part of the reason why telemedicine is rapidly growing. With their familiarity with technology, this generation is demanding immediate access via their modern devices to the things that matter to them—including healthcare. Patients of the past were mostly passive and uninformed about their health. Patients of today are taking more of an active role to control their health, keeping in better contact with their providers, and actively tracking their health. With the expansion of telemedicine came the development of telepharmacy. Many pharmacies allow (and encourage) remote order entry or order approval, especially for specialty medications. Pharmacists follow state-specific guidelines according to where and how pharmacists can complete these tasks, but pharmacists can work in remote offices or even home offices. This assists patients and companies by allowing quicker responses and doesn’t require a pharmacist to drive on-site during off-hours. This way, patients can access their medication quicker, and the pharmacy saves on the expense of having on-site pharmacists paid during low production hours. Medical systems also benefit, resulting in better reviews and better results in patient care. Some pharmacies are taking pharmacy care a step further and allow a pharmacist to supervise technicians remotely in an actual dispensing pharmacy. These technicians dispense medications just like a traditional brick and mortar pharmacy. The difference is that the pharmacist is at a different location. Benefits to the company include lower costs due to fewer pharmacists on duty. Disadvantages include state regulations (many require a pharmacist to be on-site), and the costs needed to invest in the technology necessary to perform such tasks. Advantages to both the company and patient are similar, in that this patient-care method may allow for dispensing sites in smaller populated areas where it usually would not make financial sense to have a traditional brick and mortar pharmacy. The advancement of telemedicine and telepharmacy could not have occurred without recent developments in the technology itself. Healthcare technology has allowed for centralized patient care records, quicker communication, the removal of a paper-based system, and now the ability to access healthcare professionals indirectly. With telepharmacy, the utilization of technology to track and provide patient care remotely, review patient cases and prescriptions, and document medical charts offers the ability to speed delivery of care ultimately across the healthcare spectrum. Both telemedicine and telepharmacy use can significantly reduce healthcare spending by providing patients to providers quickly and at significantly reduced costs. With telepharmacy, a pharmacist can see multiple patients in rapid succession, answer their questions, and schedule their medications for delivery over the phone or via computer. This offers convenience to providers, consumers, and even payors, and is one of the many reasons why this trend is currently so popular. By providing pharmacists to patients directly, and on each patient’s terms, telepharmacy can ultimately expand pharmacist-patient counsel, help prevent medication errors, and satisfy patients’ desires for quick and efficient access to medicine.